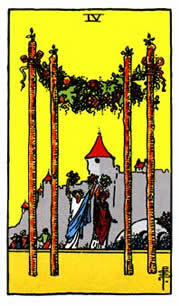 The Four of Wands is the card of the excited little child, exploding with enthusiasm and the simple joy of being alive. 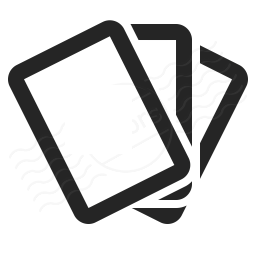 It is a card heralding new ventures and new beginnings in our lives. It represents the chance we have to let go of our limitations and allow new doors to open for our enterprising spirit to flourish. We can, however, be swept away on this tidal wave of delight and do not always remember to balance our excitement with the more cautionary voices inside us, which are important for keeping stability in our lives.